Why Does Your Disco Cost More? Here are a selection of some of my wedding videos and party videos that have been filmed at my weddings and parties in Southampton, the New Forest and across Hampshire. They are a great way of seeing what I am like and if I am the right DJ for you. The music being played in each video is based around the music taste of the person that booked me and would have been discussed at a meeting before the event. You can see more videos on my wedding pages and my home page. 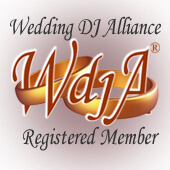 The first video on my Wedding DJ Page is a “must see” if you are interested in booking me for a wedding as it gives a great insight into how I can make your wedding amazing as well as giving you lots of inspiring ideas. Chris & Jane’s excellent wedding at the Elvetham Hotel. Uplighting and a laser show complimented their “All Day” wedding package. Chris loved the AC/DC finale which completed a brilliant day. Dave & Claire’s excellent wedding at the Rhinefield in the New Forest. They had lots of party requests on their request list including some cheese. Zoe & Stuart’s brilliant rocking wedding with a first dance with a difference! Luke & Lucy’s brilliant wedding party at Dibden Golf Club. They hired the Laser Show to project their names onto the wall and patterns and dancing animation on the ceiling. Phil & Amber’s excellent wedding in Totton with a difference. Lots of big dance anthems on the playlist and a laser lightshow for a brilliant club vibe. John & Charlene’s lovely wedding at Barford Park. A great All Day Wedding Package that included uplighting set to their colour scheme that made the barn look beautiful. Martin & Liz had a great fun joint birthday party in a Marquee. I provided uplighting right around the Marquee which I set on a slow colour change that looked amazing. I set the uplighting to flash in time to the music for the grand finale which added to the excitement. The lighting was subtle and classy and fitted the occasion. An amazing Halloween party with laser show. Gordon & Amy’s brilliant wedding at Lainston House, Winchester. White lighting & a Mirror Ball were requested for a classic look. Check out lots of awesome wedding videos on the bottom of my Wedding Page, Rhinefield House Wedding DJ Page & Beaulieu Hotel Wedding DJ Page.